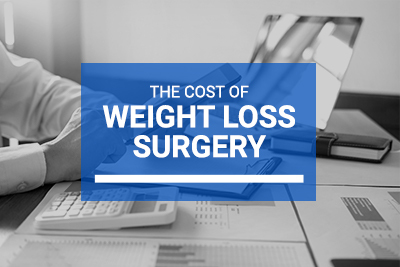 There are many reasons to look at the cost of weight loss surgery. There may be a financial cost and it is important to research all the options available to you. The financial cost of having weight loss surgery is made up from many different sources. It is best to speak to your health care professional regarding this before considering any bariatric surgery. If you a member of a private health fund and have an appropriate level of cover, most hospital and equipment charges will be covered with no out of pocket costs. (Depending on your insurance arrangements, there may be an excess to pay). Occasionally in your operation, there may be certain equipment used which is “non-rebatable” and you will have to pay part of the costs. The out of pocket expenses for insured patients relate mostly to professional/clinic fees charged by the surgeon, anaesthetist and assistant. Can I access my superannuation fund for weight loss surgery? You can apply to access your Super Annuation for out of pocket costs related to weight loss surgery for yourself. What is the cost of NOT having weight loss surgery? If you are at risk of serious health complications due to your weight then what are the costs of NOT having weight loss surgery? If you are suffering from some weight-related medical issues they may get worse without serious lifestyle changes. Often children of overweight people also struggle with their weight and the cost to this is also felt. If you are struggling to get a handle on your weight and your options for weight loss have now become limited you are probably already paying the price. What will life be like in another 12 months’ time? Here are some statistics that may be applicable to you. 70% of adults living with obesity subsequently suffer a weight-related health condition. Large children often become large adults. Obese children have a 20-25% chance of being obese into their adult years and this figure can be as high as 75% if obesity is experienced into later adolescence. Children who suffer from early age obesity suffer higher rates of depression and can often turn to extreme dieting to lose weight. Another repercussion with Childhood Obesity is that they can often report weight targeted peer bullying. North Eastern Weight Loss Surgery is one of Melbourne’s leading centres that perform a wide range of weight reduction surgeries. The team is headed up by Patrick Moore who has 20 years’ experience successfully helping people realise their weight loss goals. North Eastern Weight Loss Surgery has several locations.